Beau came to O Dental in March 2016 not happy with her smile, more specifically her retruded front tooth. She began her Invisalign treatment in April of 2016 and completed it at the end of January 2017. 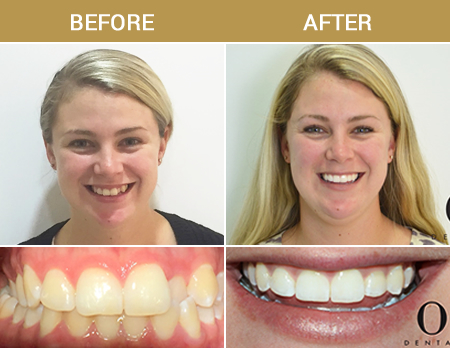 Invisalign is a comfortable, easy and virtually invisible way to address issues such as crowded, crooked or gapped teeth giving you a bright, healthy smile. This invisible way to straighten your teeth uses clear, removable aligners custom-created for your teeth. You’ll replace the aligners every two weeks until you reach the desired position, which you can see before starting the process thanks to unique ClinCheck® software.